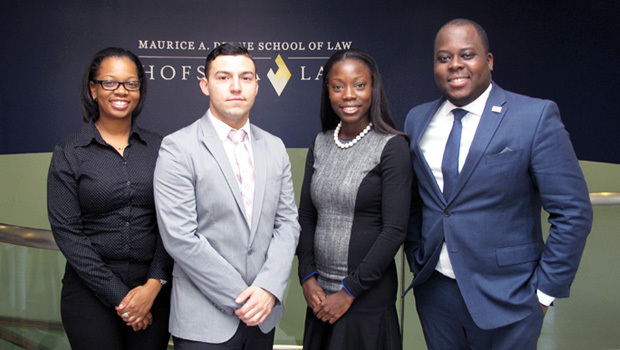 Four Hofstra Law students have been selected to participate in the New York City Bar’s 2015 Diversity Fellowship Program. First-year students Melanie Campbell, Emmanuel Charles, Keith Dominguez and Maurica John will have the opportunity to spend their summer working at a participating law firm or corporate/government legal department. More than 600 diverse and talented first-year law students from 11 New York City-area law schools have been given a rare and valuable opportunity to jump-start their careers in the law by spending their 1L summer in a law firm or corporate/government legal department. 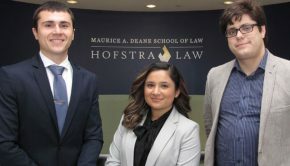 Hofstra Law has had 67 Diversity Fellows since the program’s inception.